Yesterday, workers at UPMC had a tremendous victory when the local Region of the National Labor Relations Board issued a second historic complaint against UPMC. This new complaint alleges that UPMC engaged in at least 44 separate instances of intimidation, harassment, discrimination, surveillance and illegal firings in violation of the National Labor Relations Act, and names 34 UPMC managers as having been involved in these alleged violations. You probably remember that this February UPMC settled a different NLRB complaint which alleged that UPMC engaged in at least 80 violations of workers’ rights and named top UPMC executives as having allegedly participated in those violations. 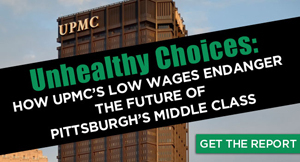 At that time, as part of the settlement, UPMC brought fired employees back to work, cleared workers’ records, and promised to respect workers’ rights to talk about the union as a way to lift themselves out of poverty. But rather than abide by those promises, UPMC instead doubled down on its pattern of harassment, intimidation, and discrimination, even firing Ron Oakes, who had just come back to work under the settlement. 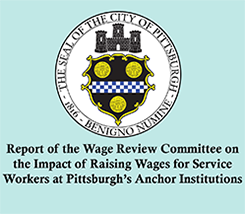 A recent report issued by Pittsburgh UNITED showed that service workers — the largest category of workers employed at UPMC — earn between 8 percent to 30 percent less than what families in Pittsburgh need to make ends meet. It’s time for UPMC to truly commit to end the harassment and instead to work with employees who want to lift themselves out of poverty.